Happy Monday everyone! I hope you had a great start to the week! 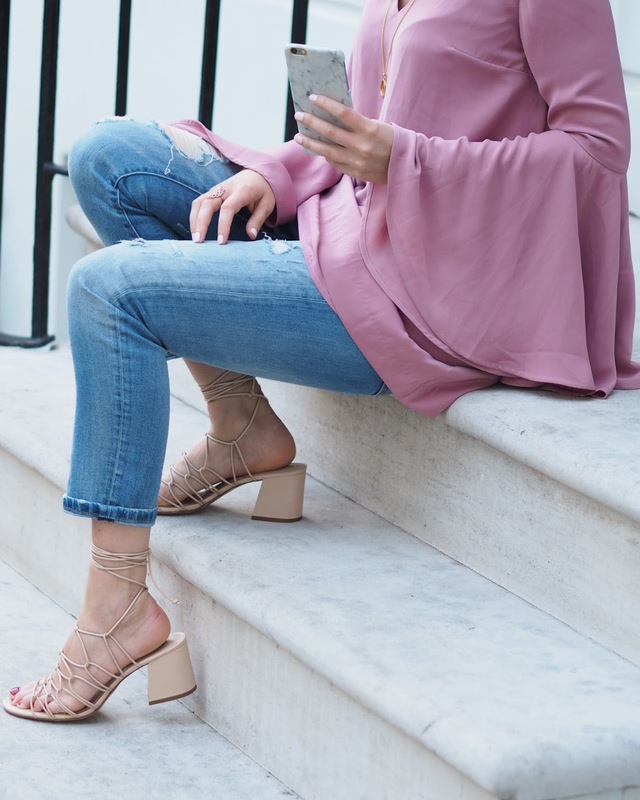 This top was love at first sight with it's gorgeous colour, bell sleeves and beautiful, floating texture. I can't wait to wear this top/dress on it's on own on holiday but for London I've paired it with boyfriend jeans and my favourite summer sandals.